singer Connee Boswell was born in New Orleans. Paralyzed from the waist down by a childhood accident, the popular singer and actress always performed sitting down. She & her two sisters got started at a local radio station. Between 1930 and 1936 the Boswell Sisters were the hottest vocal group in the country, appearing in several movies, in their own network radio show and as regulars on Bing Crosby’s program. Then the sister act broke up, and Connee pursued a mildly successful solo career, though Ella Fitzgerald credited Connee as her main influence. She died from cancer Oct. 11 1976 at age 68. On this day in 1927, singer Andy Williams was born in smalltown Iowa. After singing with three siblings in The Williams Brothers quartet on midwest radio as early as 1938, he became a featured soloist on NBC-TV’s Tonight Show, hosted in the early 50’s by Steve Allen. Later he was host of his own TV series (1962-71) and a number of Christmas specials on NBC. Most of his 44 albums were featured on MOR radio stations throughout his life. 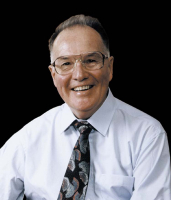 He succumbed to bladder cancer Sept. 25 2012 at age 84. On this day in 1928, NBC radio gave birth to what would be the longest run of any semi-classical music broadcast. It began as The Firestone Hour, evolving soon into the 30-minute Voice of Firestone. Simulcast on NBC TV beginning in 1949, it moved to ABC in 1954 and ended its almost 35-year run on ABC-TV in 1963. On this day in 1944, Frank Sinatra was in the Columbia Records studio recording Old Man River. 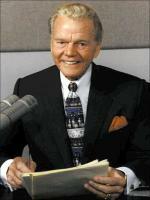 On this day in 1950, Paul Harvey began broadcasting his news & comment show nationally for ABC Radio. Would anyone have predicted a mega-successful run of 56 years? On this day in 1952, Hawaii was treated to its first telecast. On about a week’s delay from the mainland broadcast. On this day in 1954, Webb Pierce recorded “In The Jailhouse Now.” It would become his biggest hit, spending 21 weeks in 1955 as the #1 country music single. On this day in 1956, the CBC’s leading war correspondent during WWII, Matthew Halton died much too young after stomach surgery at age 52. Also in 1956, the No. 1 Billboard Pop Hit was “Singing the Blues” by Guy Mitchell. It stayed at No. 1 for 10 weeks. 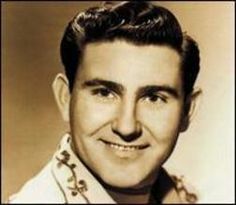 The recording was a pop version of Marty Robbins’ country hit. On this day in 1957, country singer Don Gibson recorded his first pop hit single “Oh Lonesome Me” in the Nashville studios of RCA Victor. On this day in 1961, the Beatles met their future manager Brian Epstein. On this day in 1962, Bobby Darin recorded his country music composition, ‘You’re the Reason I’m Living.’ It was his first single for Capitol Records and a future Top Five pop hit. On this day in 1964, the animated Christmas TV special “Rudolph The Red-Nosed Reindeer,” with Burl Ives supplying the voice of Sam The Snowman, was seen for the first time on CBS. On this day in 1965, the Beatles began their final UK concert tour in Glasgow. On this day in 1966, singer Ray Charles was convicted of possessing heroin and marijuana, given a five-year suspended prison sentence and fined $10,000. 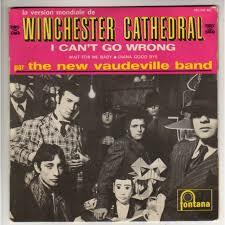 Also in 1966, British act The New Vaudeville Band started a three-week run at No.1 on the Billboard singles chart with ‘Winchester Cathedral’. On this day in 1967, a “Tennessee Ernie” Ford CBS TV music special featured The Supremes as guests. Also in 1968, “Singer (show sponsor) presents Elvis!”, Elvis Presley‘s now famous comeback special, was telecast on NBC. Taped the previous summer, it included Elvis’s first appearance before an audience in more than seven years. The special was a powerful performance after years of generally mediocre movies. Also in 1968, the single “Midnight Confessions” by the Grass Roots was certified as a Gold Record. So were the O’Kaysions‘ single, “Girl Watcher,” Aretha Franklin‘s “Aretha Now” album, Iron Butterfly‘s “In-a-Gadda-da-Vida” album, and Cream‘s “Fresh Cream” album. On this day in 1969, the Rolling Stones recorded their soon-to-be-smash hit ‘Brown Sugar’ at the UK’s Muscle Shoals studios. On this day in 1971, the Montreux Casino in Switzerland burnt down during a Frank Zappa (pictured) gig. Ian Gillan, vocalist of Deep Purple, who was recording in close proximity, was inspired to write the classic “Smoke On The Water” about the incident. On this day in 1973, Ringo Starr released “You’re Sixteen” featuring his own kazoo solo. Within the month it became Ringo’s second straight number one pop single. On this day in 1976, seven gunmen broke into singer Bob Marley‘s house in Jamaica. Marley, his wife, their manager and a house guest were shot and slightly wounded. The gunmen were never caught. Also in 1976, Pink Floyd released a 40-foot helium-filled pig at Battersea Power Station in England so they could photograph it for their “Animals” album cover. The pig broke loose, and rose to more than five-thousand metres before landing kilometres away in Kent, southeast of London. On this day in 1977, after 29 weeks in the #1 position on the album charts (a record, literally…), Rumours, by Fleetwood Mac, was replaced in the top spot by the album Simple Dreams, by Linda Ronstadt. On this day in 1979, eleven people were trampled to death in a stampede to get the best seats before a concert headlined by The Who at River Front Coliseum, Cincinnati. It was drummer Kenny Jones‘ first tour with the Who. Drummer Keith Moon died three months before. On this day in 1983, CTV’s Harvey Kirck became the first broadcaster on a coast-to-coast Canadian network to anchor a nightly television News broadcast for 20 consecutive years. But he wouldn’t be the last, would he Lloyd Robertson? Also in 1983, Lionel Richie started a three-week run at No.1 on the Billboard album chart with ‘Can’t Slow Down’. On this day in 1984, Miss America 1971, Phyllis George, (below) wife of the Governor of Kentucky and an heiress to the Kentucky Fried Chicken fortune, signed a multiyear contract with CBS-TV. Her work as coanchor of the CBS Morning News began in January 1985. Also in 1984, Kenny Rogers earned his 11th platinum L-P — signifying one-million copies sold — for “What About Me,” setting a record for platinum L-P awards. On this day in 1985, singer Connie Francis was arrested for kicking a policeman who had been called to remove her from a Delta Airlines flight in Atlanta. She was escorted off the plane after refusing to put out her cigarette during refuelling. Later in the month, Francis was admitted to the Miami Health Centre after creating a disturbance at the Grand Bay resort hotel. On this day in 1986, a lawsuit was filed against the group Judas Priest and CBS Records, alleging two fans shot themselves after listening to the band’s music for six hours. On this day in 1987, the 200th episode of “Knots Landing” aired. On this day in 1988, the song “Baby I Love Your Way – Freebird Medley” by Will to Power topped the charts … but only stayed #1 for a week. On this day in 1990, although MTV had banned it a week earlier ABC-TV’s “Nightline” aired Madonna‘s controversial video for “Justify My Love” as part of a news story. On this day in 1991, the late New York disc jockey Alan Freed was honored with a star on the Hollywood Walk of Fame. On this day in 1994, Elizabeth Meyer, the wife of actor Paul Michael Glaser (Starsky & Hutch), died of AIDS at age 47. She had received tainted blood in a 1981 transfusion, and unwittingly infected her two children in childbirth. 7 yr. old Ariel had died in 1988. Also this day in 1994, Boyz II Men knocked themselves off the No.1 position on the Billboard singles chart when ‘On Bended Knee’ started a six week run a No.1. The group’s ‘I’ll Make Love To You’ had been at No.1 for a record breaking 14 weeks. On this day in 1997, actor Pierce Brosnan was on hand to help unveil his star on the Hollywood Walk of Fame. Also in 1997, the newest album by Pearl Jam, “Yield” was prematurely leaked in full by a broadcast from Syracuse, N.Y. radio station WKRL. On this day in 1999, actress Madeline Kahn died of ovarian cancer in New York. She was 57. She had starred in movies and TV series, (Oh Madeline, Cosby, New York News) as well as being an amazing talk show guest. On this day in 2000, US composer Hoyt Curtin died of heart failure aged 78. He was the composer of many of the Hanna-Barbera cartoons’ theme songs, including The Flintstones, Top Cat, Jonny Quest, Superfriends, The Jetsons, Josie and the Pussycats, and The New Scooby-Doo Movies. On this day in 2001, the AM band in BC’s Fraser Valley was much quieter, as transmitters in Chilliwack (1270KHz), Abbotsford (850KHz) and Hope (1240KHz) went silent. They had completed the customary three months of simulcasting following a flip to FM in all three towns. 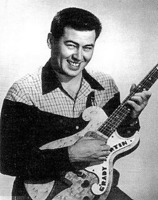 Also in 2001, Nashville session guitarist Grady Martin suffered a fatal heart attack aged 72. During a 50 year career he played guitar on hits ranging from Roy Orbison’s ‘Oh, Pretty Woman‘ and Marty Robbins’ ‘El Paso‘ to Loretta Lynn’s ‘Coal Miner’s Daughter‘. On this day in 2002, Irish actor Glenn Quinn, who had feature roles in TV’s original Roseanne & Angel, died of an accidental heroin overdose at the tender age of 32. On this day in 2003, veteran Canadian songwriter Gordon Lightfoot was inducted to the inaugural Canadian Songwriters Hall Of Fame in Toronto. Also inducted were four deceased Canadian songwriters — Hank Snow, Alfred Bryan, Flix Leclerc and Madame Bolduc. And 12 songs were awarded the first spots in the hall, including Lightfoot’s “If You Could Read My Mind”. Also in 2003, a Los Angeles court ruled that the privacy of singer Barbra Streisand was not violated when a picture of her Malibu estate was posted online. Streisand had filed a $10 million action against software entrepreneur Kenneth Adelman after he posted a shot of her home on his site devoted to conservation. 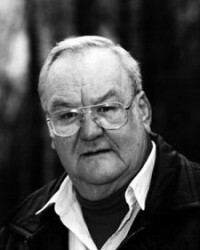 On this day in 2005, Canadian broadcast pioneer Allan Waters died in his sleep at the age of 84. Waters founded 1050/CHUM in Toronto, once one of this country’s most prominent Top 40 radio stations. On this day in 2007, Diana Ross and the Beach Boys’ Brian Wilson both collected awards for contributions to US culture at a ceremony in Washington, attended by President Bush. Hootie and the Blowfish paid tribute to Brian Wilson with a medley of some of the Beach Boys’ best-known songs. On this day in 2008, Nickelback‘s album “Dark Horse” was the #2 album (behind Beyonce) on the Billboard chart. The set sold 326,000 units during its first week of release. Also this day in 2008, the weekly TV show Spectacle: Elvis Costello With . . ., the performance-and-interview hour, made its US debut on the Sundance Channel with an appearance by the program’s executive producer, Elton John. On this day in 2009, Rolling Stone Ronnie Wood was arrested in Esher, Surrey on suspicion of assault, after a passerby dialled 999 as a violent argument was taking place between Wood and his 21-year-old on-off girlfriend Ekaterina Ivanova. He was cautioned by police, and the relationship ended two days later. Also this day in 2009, Nickelback made the first major contribution to the Obakki Foundation which helps orphaned children in Cameroon, Africa. The band donated $1 of every ticket sold during their previous summer tour for a total contribution of $500,000. On this day in 2010, an extensive collection of John Lennon and The Beatles memorabilia went to auction over two-days in Beverly Hills. A white and gold braided jacket worn by Lennon in ‘66 for a Life magazine photo shoot and a guitar played by both Lennon and Elvis Presleyduring a Los Angeles jam session (at Elvis’ house) were among the items. On this day in 2012, a day before she was honored with a celebration of her music at LA’s Dolby Theatre in Los Angeles, singer/songwriter Carole King became the latest recipient of a star on the Hollywood Walk of Fame, located across the street from the Dolby. On this day in 2013, it was announced that Neil Young‘s “After the Gold Rush,” U2‘s “The Joshua Tree,” George Harrison‘s “All Things Must Pass” and Creedence Clearwater Revival‘s “Cosmo’s Factory” were among the entrys into the 2014 Grammy Hall Of Fame. On this day in 2014, UK keyboardist Ian McLagan, who played with two of Britain’s most popular bands, Small Faces & The Faces, suffered a massive stroke and died at age 69. On this day in 2015, Scott Weiland, the instantly recognizable voice behind Stone Temple Pilots and Velvet Revolver known for his dynamic stage presence, died while on tour of an accidental drug overdose at age 48. Also in 2015, comedic actress Amy Poehler (Sat. Night Live, Parks & Recreation) was on hand to help unveil her star on the Hollywood Walk of Fame. On this day in 2016, Herbert Hardesty, a tenor sax player featured on many Fats Domino classics, who collaborated with many jazz and R&B greats (Frank Sinatra, Ella Fitzgerald, Little Richard, Lloyd Price, etc. ), died at age 91. On this day in 2017, the Metropolitan Opera suspended its relationship with renowned conductor James Levine, whom it was investigating amid accusations of sexual misconduct spanning decades. Levine was formally terminated four months later. Singer Jaye P. Morgan (The Gong Show, Fay) is 87. Actress Mary Alice (A Different World, All My Children) is 77. Rock singer Ozzy Osbourne (Black Sabbath) is 70. Singer Mickey Thomas (Jefferson Starship member) is 69. Rocker Mike Stock (Stock, Aitken & Waterman) is 67. Country musician Paul Gregg (Restless Heart) is 64. Actor Steven Culp (Desperate Housewives, West Wing, JAG) is 63. Edmonton-born Melody Anderson (Jake & the Fatman, All My Children, St. Elsewhere) is 63. Actress Daryl Hannah (Final Days of Planet Earth, The Last Don) is 58. Actress Julianne Moore (Edge of Night, 30 Rock, As the World Turns, I’ll Take Manhattan) is 58. Actor Steve Harris(The Practice, Friday Night Lights) is 53. Actress Barbara Garrick (One Life to Live, As The World Turns, Guiding Light) is 53. Actor Mark Deklin (Devious Maids, Shades of Blue) is 51. Actor Brendan Fraser (The Affair, Condor, Texas Rising, Scrubs, King of the Hill) is 50. Singer Montell Jordan is 50. Actor/comedian Royale Watkins (Built to Last) is 49. Windsor Ont.-born actress Keegan Connor Tracy (Once Upon a Time) is 47. Actor Ethan Sandler (Crossing Jordan) is 46. Actor Bruno Campos (Nip/Tuck, Jesse, Soul Food) is 45. Actress Holly Marie Combs (Pretty Little Liars, Charmed, Picket Fences) is 45. Actor Joseph Gatt (Banshee) is 44. Toronto-born actor Joris Jarsky (The Art of More, Vampire High) is 44. Actress Malinda Williams (Soul Food) is 43. Actress Lauren Roman (Bold & the Beautiful, All My Children) is 43. Actress Cristi Harris (Sunset Beach, Passions) is 41. Montreal-born actor Jonathan Cherry (Christmas in Boston, Tagged, Marker ) is 40. Toronto-born actor Rainbow Francks (The Listener, Stargate: Atlantis) is 39. Actress/comedian Tiffany Haddish (The Carmichael Show, If Loving You is Wrong) is 39. Actress Anna Chlumsky (Veep, Halt & Catch Fire, Miracle in the Woods) is 38. Model/dancer/actress Jenna Dewan (The Resident, Supergirl, Witches of East End) is 38. Actor Brian Bonsall (Star Trek: the Next Generation, Family Ties) is 37. Actress Liza Lapira (Don’t Trust the B—- in Apt. 23, NCIS, Huff) is 37. Actress Maddy Curley (Olympia) is 37. Singer-songwriter Andy Grammer is 35. Actress Sarah Foret (aka Sarah Tareen) (Beautiful People) is 34. Actress Amanda Seyfried (Big Love, Veronica Mars) is 33. Actor Michael Angarano (Will & Grace) is 31. Drummer/actor Kevin Alexander Clark is 30. Actress Shanley Caswell (NCIS: New Orleans) is 27. Actor Jake T. Austin (The Fosters, Go Diego Go, Wizards of Waverly Place) is 24.